Do you need Christmas lights installed this year? It’s A Wonderful Light features the best holiday lighting installation in Chicago. 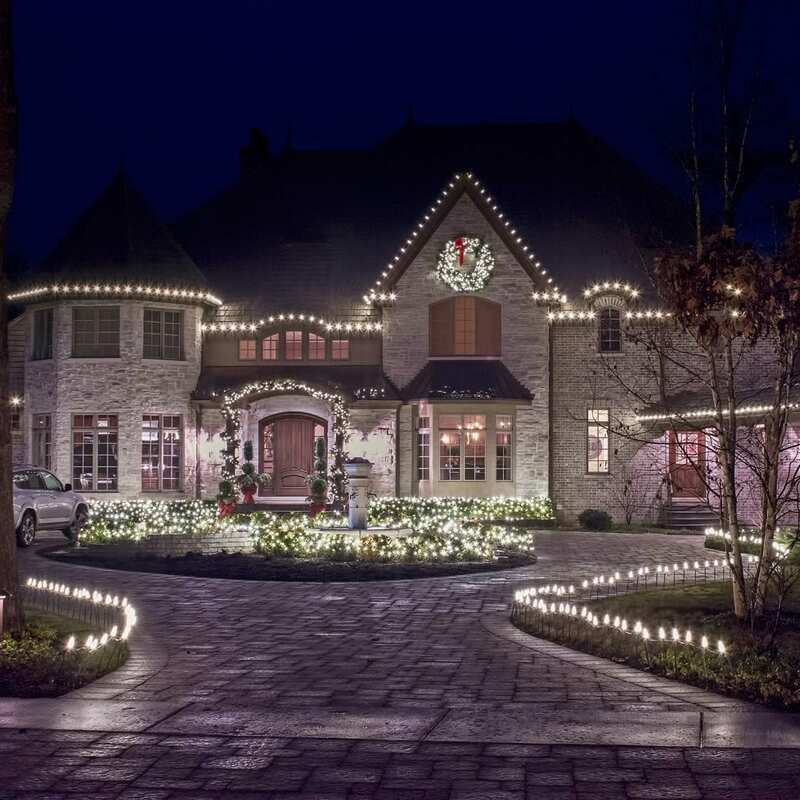 With many years of extensive electrical lighting design industry experience, we can truly turn your property into a holiday spectacle with dazzling lights and displays. At It’s a Wonderful Light, our goal is always to meet your holiday light needs within time and budget. As a seasoned and reputable Christmas lighting company in Chicago, we love what we do and want to put smiles on all faces. Our services include roof line light displays, along with mini lights and full home displays. We also specialize in eye-catching wreath and garland lighting, as well as customized design services. With the holidays rapidly approaching, let us take care of all the ladders, cords and installations. We even offer complete take down and storage services for all homes in the Greater Chicagoland area. Why waste valuable time on setting up lights when the experts are just a phone call away? It’s a Wonderful Light features illumination professionals who can turn your home or business into a festive holiday attraction. With experienced technicians, installers, and maintenance personnel, we have illuminated and decorated countless homes in Chicago over the years. We are also available for all functions, parties and events that need innovative and cutting-edge illumination services. From nets and series to the latest in LED and holograms, we do it all. One phone call or e-mail is all you need to schedule a complimentary consultation. No matter how big or small your abode is, we have the tools and expertise to brighten up the holidays with our incredible lighting and displays. We also specialize in post installation maintenance, as well as adding new series or replacing any bulbs with new colors. For more information, call 630-201-9627 today for a free estimate!